Expose your talent at the biggest Open Mic night in town! It’s every Wednesday from 9pm and it’s at Belushi’s Bar. 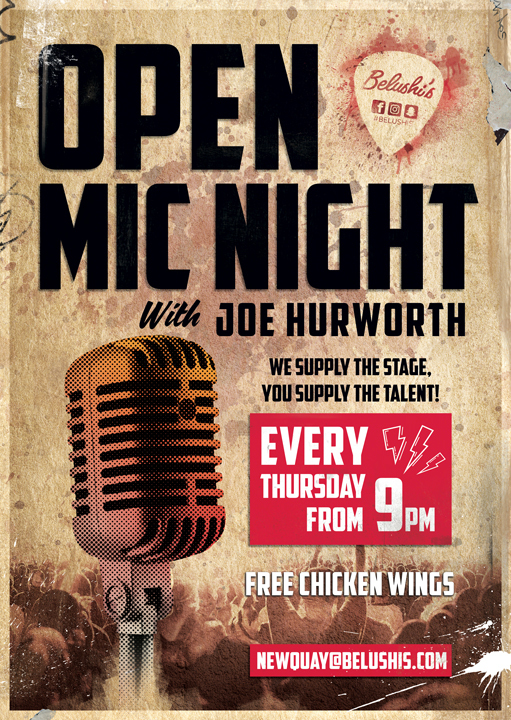 Meet Joe Hurworth on the night to book your spot on the stage.